At the time, 41 years ago, Saiyan's planet Vegeta became under command of Frieza's army. Due to an abnormal power level of Broly while still as a baby it causes for Broly and his father Paragus to be exiled to a desolate planet Vampa with a harsh life because King Vegeta fears him to be a threat to his elite son, Prince Vegeta. 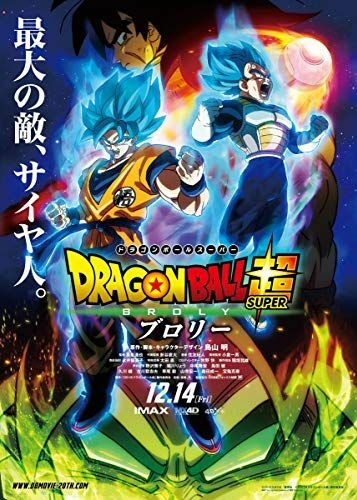 The king pridefully perceives his son as a prodigy to save his people and as such neglects Broly's power, while Paragus' pride in his son transforms into a wish for vengeance and using his son as a tool to accomplish it. On the other side, five years later, low-class warrior Bardock becomes suspicious of the Frieza's orders because of which decided to send his son Kakarot, later called Goku, to planet Earth. His suspicions become a reality as Frieza destroys Planet Vegeta after hearing about the legend of the Super Saiyan which could defeat him. All the Saiyans, besides Broly and Paragus, Goku, Vegeta with his comrades Nappa and Raditz (who was the older brother of Goku), die in the cataclysm. Read more on Wikipedia.